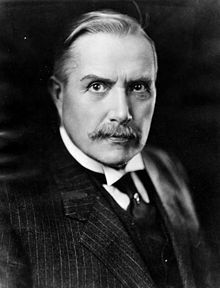 Today in Masonic History John Corneby Wilson Austin is born in 1870. John Corneby Wilson Austin was a British-born American Architect. Austin was born on February 13th, 1870 in Bodicote, Oxfordshire, England. In the late 1880's he began his career by apprenticing for an architect in England. In 1891, he had moved to the United States and began working as a draftsman for an American architect in Philadelphia. In 1892 he moved to the west coast and began working in San Francisco before moving to Los Angeles in 1895. During the 1930's Austin became politically active during the Great Depression. He was a leader in the community and president of the Los Angeles Chamber of Commerce. He encouraged more public works projects in the city to help put people back to work. In 1930 an open letter he wrote to President Herbert Hoover appeared in the Los Angeles Times. Austin wanted the government to create and emergency fund that could be used to create public works projects in the Los Angeles area. In the letter he stated that he feared that the unemployed would fall "prey to the propaganda of Communists and agitators against our institutions." When there was little or no movement from his letter, Austin headed to Washington D.C. He stated that he was going east "with a crowbar to try and pry something loose." From his trip President Hoover placed him in charge of unemployment efforts in 10 southern California counties. Austin also served as the President of the State Board of Architectural Examiners and the President of the Southern California Historical Society. Austin passed away on September 3rd, 1963. Austin's lodge membership is unclear. He is listed as a Scottish Rite Mason, 32°. He was also a member of Al Malaikah Shrine Temple, the Temple that owns the Shrine Auditorium.